Forget craft beers made from hops that are so experimental they still have a number instead of a name. Or a brew fermented with yeast cultured from the brewer’s beard. And don’t even bother getting excited over a beer made with pedestrian ingredients like Oreos. The latest headline-grabbing brew possibly sets a new standard in far out ingredients: the trimmings from $20,000 bonsai trees. Kuromatsu Kamikaze IPA only launched last year, but already Heroica is talking about increasing production. 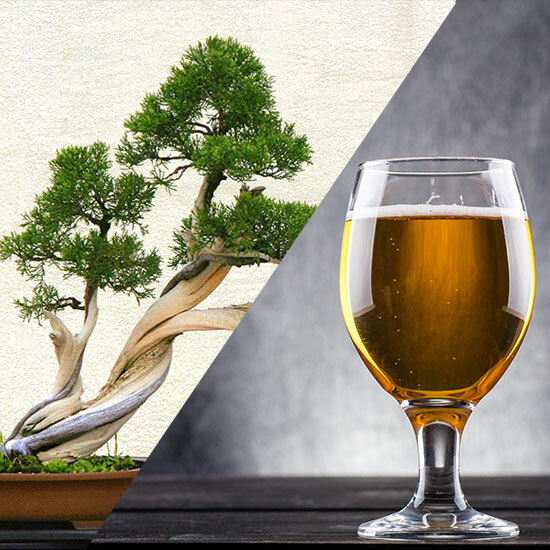 It’ll be interesting to see if bonsai tree beers become a growing trend. That is until we end up with something like MillerCoors creating Blue Moon Bonsai Ale and cornering the world’s bonsai trimmings market.